If you are looking for an age-restricted active adult community, be sure and check out Lakeside Crossing, just off Hwy 501 at the Burning Ridge Golf Club. Lakeside is unique in that you buy a manufactured home at a very low price, yet it has all the upgrades of a luxury home. 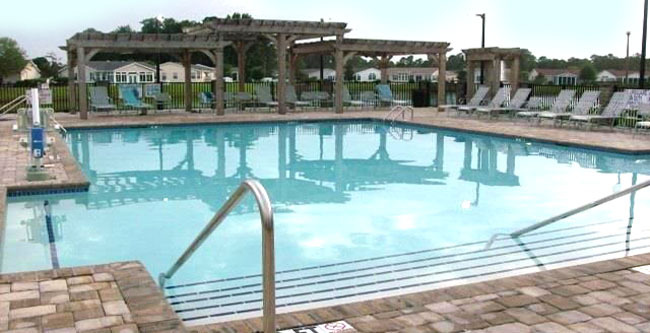 The land is not included - you pay a lot rental - but the amenities are also included in this, and they are phenomenal! Home prices range from about $70,000 for a 2-bedroom to around $150,000 for a 3 bedroom. There are lots available on one of the many spring-fed lakes, or backing up to a wooded area. The yard maintenance is also included in the monthly fee. Home sizes range from 1100 sq ft to 1900 sq ft, and include ages from 10 years to 1-2 years. Lakeside has won awards repeatedly for being in the top 100 of retirement communities. If you want a truly carefree but active retirement lifestyle, this one is worth taking a look. Call us for more information about the homes in Lakeside Crossing 55-Plus.